Today I am thrilled to have Janet Bly, widow to the legendary Stephen Bly who passed away in 2011, as my guest. I was honored to read and review her husband’s last novel, Stuart Brannon’s Final Shot, and I loved it! But what I loved even more than the Stephen’s literary genius was the fact that Janet and her sons finished the novel after Stephen’s passing. What a way to honor a husband and father! Today, Janet speaks on hope–something I believe is crucial to mankind’s survival. I’ve said it before, and I’ll say it again, mankind can endure heartache and trials unimaginable, if they have hope. But if hope is gone … Today Janet shares the story of one woman who was in the depths of despair and found hope through the love and words of a faithful friend. But before we go any further, I wanted to announce the winner of Arkansas Weddings by Shannon Taylor Vannatter! SusanMSJ, congrats! You won a copy of Shannon’s novel. I’ll shoot you an email soon to find out how best to get this novel to you. And for the rest of you that didn’t win this go round, no worries! Another give-away starts today! Winner will be selected randomly from the comments below and will when one of Janet Bly’s books! Teri finally got her life together. She had endured years of a long series of deadends, painful losses, and tragedy. But that was the past. Now she had a loving husband, three wonderful children, and no major crises. Then her husband plotted a surprise. He had found a way to find her two other children she had lost contact with long ago. “I was 21,” Teri explains, “an orphaned divorcee with only a basic education. My first husband had an intact extended family, education, and financial resources. He got custody of our kids.” Eventually, due to circumstances beyond her control, she no longer knew where they were. Why was that on the page? Deceased? That couldn’t be true. How could my son be dead? A police report was included: suicide. Teri’s mind and emotions shut down in shock. Teri had struggled with depression before and learned how to pull herself out. But not this time. All she felt was hopelessness. In time, Teri’s hope revived again. But it didn’t just happen. Time by itself healed nothing for her. She needed time plus gutsy love. Teri’s load was lightened when a certain someone sat beside her and listened while she poured out her soul. When someone had the right words and actions at a critical juncture. God worked through her family and also a special friend to soften and redirect her exploding anger, gripping regrets, and gaping wounds of sorrow. God uses people to kindle hope. Human relationships are among His finest gifts. We need at least one capable, willing confidante. Someone who has been trained in the fires of experience and the furnace of faith. Someone who will come alongside, go through the stuff of life with us. Or you can be that person for another. Today, shut out the world for a few minutes and treat yourself to one of these 31 short meditations. A month-long devotional guide with true stories, enriched with relevant Scripture passages, and prayers to encourage your heart. Life offers enough troubles to keep things interesting. You may become impatient for relief under the load of heartbreaking problems. But God’s delays achieve fulfillment of His highest aims. He carefully prepares you for what lies ahead. Hope Lives Here weaves stories of humor and pathos with the display of God’s wisdom and goodness. God brings to each life the people and events designed to reveal the ultimate hope in Christ and keep attention on the future eternal glory of heaven. 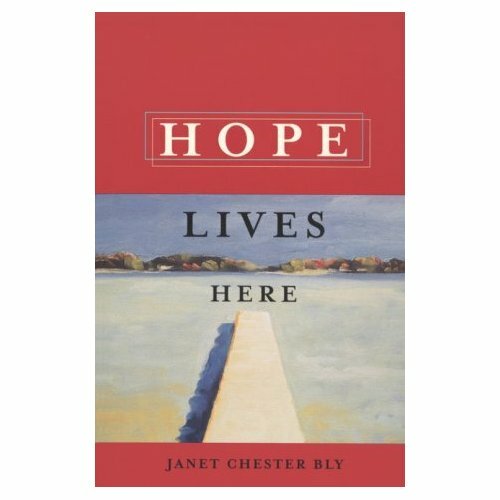 Janet Chester Bly is a speaker on women’s issues, relationship challenges, and devotional themes. She authored 11 books, including Words To Live By For Women, Hope Lives Here, God Is Good All The Time, Awakening Your Sense of Wonder, and The Heart of a Runaway. 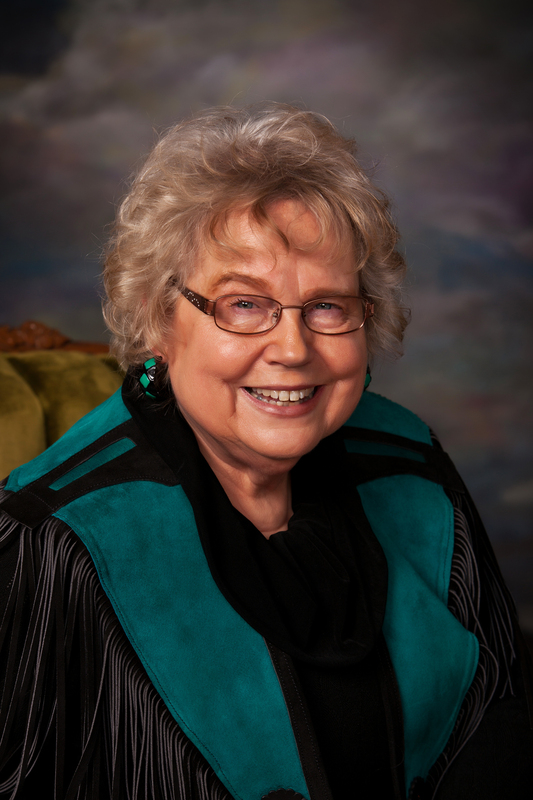 She co-authored with her late husband Stephen Bly 19 other nonfiction and fiction books, including The Power of a Godly Grandparent, The Carson City Chronicles, and The Hidden West Series. Let’s talk about this. Share a time when you were struggling and someone gave you hope. What did they do or say? How did that help you? Or perhaps you’re on the giving end. Do you have a loved one facing tough circumstances? How can you give them hope without sounding cliche’ or minimizing their feelings? I rarely know the right words to say, so often, I’ll just listen, or maybe send my loved ones a verse or a link to a song. I hope it is enough for them to know I care. Ultimately, our hope lies in God and God alone and His promise of heaven, but while we are here on His earth, He has given His followers the task of sharing His love, peace, mercy, grace, and hope with others. I’d love to hear from you! Share your thoughts in the comments below or on Facebook atLiving by Grace. 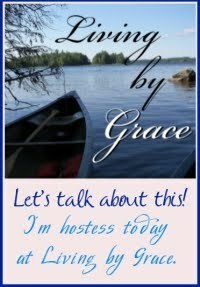 This entry was posted in Beauty for the Broken, compassion, God's Authors, intentional living, Living by Grace, United in Christ and tagged hope, Janet Bly, struggles, trials. Bookmark the permalink.